Scientific Advisory Committee | Nasobih | Nasobih Naturals Ltd. The Nasobih skincare system is much more than just a natural skincare line. The ingredients in the oral capsules used in the system have undergone extensive scientific testing to ensure they are safe and effective and have been approved by Health Canada. The topical creams have also undergone extensive clinical testing for safety and efficacy. Combined, they nourish the body inside and out so you feel and look younger. No other anti-aging system can say that. In order to bring you this unique and cutting edge system called Nasobih (Natural Anti-aging System for Outer Beauty and Inner Health) we needed a team of doctors with a keen interest in the science of anti-aging medicine, natural medicine including cancer prevention, and modern Western medicine. They needed to have an active practice in-order to evaluate clinical outcomes. This combined power-house of scientists has kept and will keep Nasobih on the leading edge of science to make you feel better, look younger, and prevent disease. Dr. Kamran Forghani completed his post-graduate medical degree in the 1980’s at McGill university Medical school in Montreal, Quebec. He worked at St. Mary’s hospital as an emergency room physician prior to completing a three year specialty in family practice at the University of Washington medical school. Dr Forghani practiced family medicine treating a variety of health issues. He is the co-founder of two medical clinics and recently a state of the art anti-aging clinic in Victoria, BC, Canada. Dr. Forghani is a strong believer in preventative and regenerative medicine. He is specializing in anti- aging medicine and bio identical hormone replacement through the American Academy of Anti- aging medicine. His research is based on using the best of what nature offers and couples this with his in-depth knowledge of medicine to create some of the highest quality and most effective natural products for your health and the health of your skin. Dr. McKinney is a graduate of the Natural College of Natural Medicine in Portland Oregon, USA. He has been practicing since 1985 and currently has an active practice in Victoria, British Columbia, Canada. Dr. McKinney has extensive experience in Naturopathic Oncology as well as Naturopathic Medicine for a variety of health concerns and ailments including skin disorders. He is a well-respected lecturer by his peers in naturopathic medicine and has authored many scientific papers. Dr. McKinney is a member of the Oncology Academy of Naturopathic Physicians, a medical specialist society of the American Association of Naturopathic Physicians. 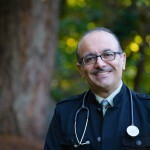 He is a founder and a professor of Naturopathic Oncology at the Boucher Institute of Naturopathic Medicine in New Westminster, British Columbia. He has written three books on Naturopathic Care in Oncology; Naturally There’s Hope, Naturally There’s Always Hope, and his newest publication released in 2011; Naturopathic Oncology: An Encyclopedic Guide For Patients & Physicians. Dr. Bill Code is considered the foremost medical expert on Emu Oil; he graduated with a Medical degree in 1978 and then specialized in Anesthesiology at the University of Calgary which included 2 years of Neuroscience research in Pharmacology. 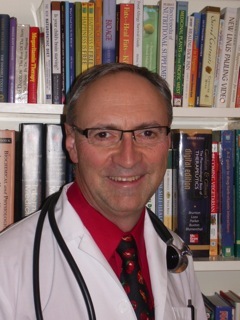 He was on the faculty for the University of Saskatchewan department of Anesthesia and in 2008, he graduated as a Fellow of Integrative Medicine from the University of Arizona, under Dr. Andrew Weil. Dr. Code is also part of several medical organizations, which include the Canadian Anaesthetists Society, the International Brain Research Organization, and the Society of Neuroscience. 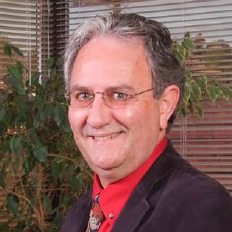 He has also given multiple presentations on Emu Oil across Canada and the US over the past 20 years, including the 2013 Integrative Medicine for Mental Health Conference in Chicago and his presentation on alternative choices for pain relief at the World Congress of Anesthesiology, in Sydney, Australia. Dr. Code is the author of 4 books, with over 10,000 copies sold, which include Who’s in Control of your Multiple Sclerosis, Youth Renewed (with Claudia Tiefisher), Emu Oil an Ancient Remedy, Winning the Pain Game, and Point of Return (with Alesandra Rain and Andrea Crocker). Dr. Heinz Lüscher is one of the rare specialists for orthomolecular medicine in Switzerland. He graduated Medical School in 1976 at the University of Zurich, Switzerland. Dr. Lüscher practiced family medicine throughout the 1980’s before becoming an advisor to the medical equipment industry for hospitals and doctors in the area of anesthesiology, urology and intensive care. Dr. Lüscher started studying orthomolecular medicine after having positive results with his patients. He got totally excited about it and as a result, started his second practice in 2011 specializing in cancer treatment and other chronic diseases such as multiple sclerosis, chronic inflammation of the intestines, skin disorders and autoimmune diseases. He soon found that many natural ingredients had a much better healing effect than many pharmaceutical drugs. His desire is to share his knowledge with patients and other doctors. Dr. Lüscher is often invited to teach and lecture on his successful treatment options, he also spends a great deal of time informing the public on alternative choices for better health.